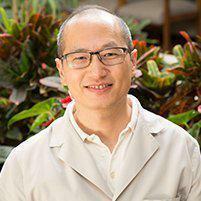 At Peng Dental Care, Dr. W. Felix Peng has helped many residents of Gardena, California and other Los Angeles neighborhoods who suffered from Tourette syndrome. Tourette (also Tourette’s) syndrome is a neurological disorder that includes at multiple motor tics and a minimum of one vocal tic. These tics may come and go in waves. Episodes of them are typically preceded by a growing urge. While everyone with Tourette syndrome has tics, not all people with tics have Tourette’s. Tics are uncontrollable actions, and they may be exacerbated by stress, illness, excitement or fatigue. As noted, there are two types of tics related to Tourette syndrome, motor, and vocal. Some examples of motor tics include blinking, jerking, twitching the mouth and shrugging the shoulders. Vocal tics might include barking, yelping, coughing, grunting, shouting, swearing, and similar phonetic sounds. Tourette syndrome is sometimes thought to be inherited because genetics are a major risk factor. Genetic predisposition to the disorder, however, doesn’t necessarily mean that an individual will develop full-blown Tourette syndrome. They may only have mild symptoms or even none at all. When Do People Get Tourette Syndrome? How is Tourette Syndrome Treated? In many cases, tics are mild and don’t interfere with routine life. Mild tics may not require any medical treatment. When tics interfere with daily life, however, they need to be treated. More severe tics may be treated with medication, therapy or functional orthodontics. Functional orthodontics uses specialized equipment to reduce or prevent tics from occurring.